The Washington men’s basketball team agreed on a two-year deal to play at Auburn next season and the Tigers will make a trip to Seattle in the 2019-20 season. 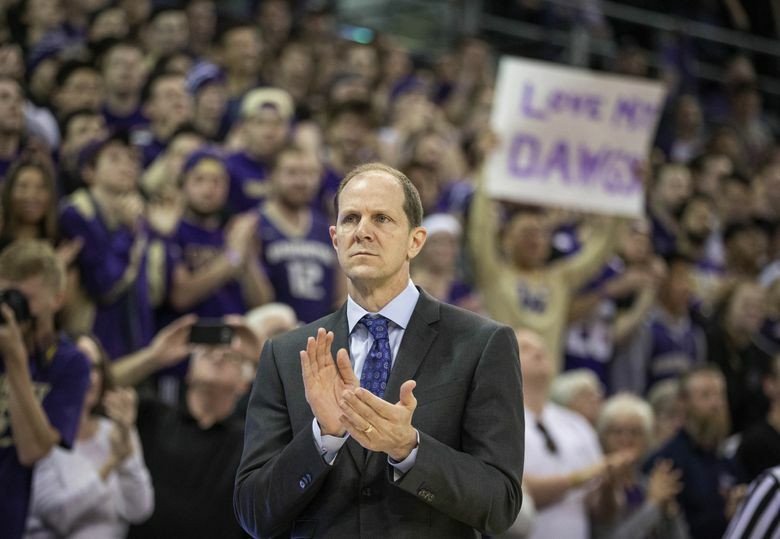 Mike Hopkins stole a page from Chris Petersen and plans to travel to the deep South to face an SEC juggernaut in a non-conference matchup that could have postseason implications. Sources confirmed the Washington men’s basketball team has agreed on a two-year deal to play at Auburn next season and the Tigers will make a trip to Seattle in the 2019-20 season. On the football side, the No. 8-ranked Huskies open the season against No. 12 Auburn on Sept. 1 at Atlanta’s Mercedes-Benz Stadium. UW’s basketball team has loaded up a non-conference road schedule that includes a trip to potential preseason No. 1 Gonzaga, a tournament in Vancouver, B.C., against Santa Clara and either Minnesota or Texas A&M and a trip to Atlantic City, N.J., to face Virginia Tech, a preseason ACC title contender. In a tweet Thursday, CBS’ Jon Rothstein broke the news of the UW-Auburn pairing. Neither school has officially commented on the deal. The Huskies expect to finalize their 2018-19 non-conference schedule in a week or so — much later than previous years. The delay results in part from the Pac-12 directing its teams to beef up their non-conference schedules to improve the league’s overall RPI and increase its chances of sending more teams to the NCAA tournament. Last season, just three Pac-12 teams advanced to the Big Dance. Auburn finished 19th in the final Associated Press poll at 26-8 last season. The Tigers won the SEC regular-season title and captured a No. 4 seed in the NCAA tournament before a stunning 84-53 loss in the Midwest Region semifinal. In its first year under Hopkins, Washington finished 21-13 and had its season end in the second round of the National Invitation Tournament. UW’s 12-win improvement included a shocking 74-65 upset victory against No. 2 Kansas in Kansas City, Mo. on Dec. 6. Percy Allen: 206-464-2278 or pallen@seattletimes.com; on Twitter: @percyallen. Seattle Times staff reporter Percy Allen covers the Washington Huskies and Seattle Storm.